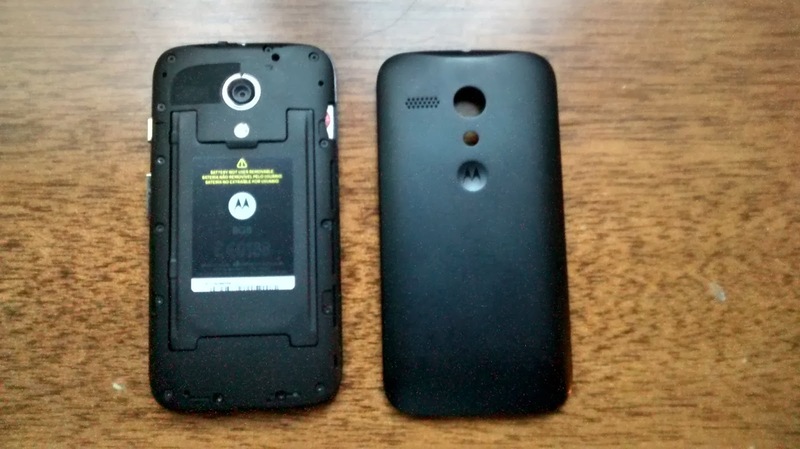 The Moto X smartphone gave us a glimpse of what Google had in store for Motorola (before selling it to Lenovo). It's an attractive smartphone that proved that the number of cores and pixels isn't everything that makes a flagship phone by introducing innovative ways to control and use the phone and thorough customization of the phone's design. Having the Moto X occupy the flagship end, Motorola then proceeded to produce a budget smartphone which made as few compromises as possible compared to its flagship counterpart, and that is where the Moto G stands. For $179, the Moto G offers an experience that isn't so far away from the Moto X, and is also one of the only smartphones in that price range you wouldn't be frustrated with having. It may not have the Moto X's Active Display and Always On voice commands features nor its wide array of customization options, but the in-hand feel and overall user experience of the Moto X is mostly preserved, but with a much lower price tag. If you can't, or don't want to, spend a lot of cash on a smartphone, but still want to get a good device, the Moto G is the perfect pick. The low price means you'll be making some key compromises, though, like the lack of LTE connectivity, a smaller display size and resolution, an unimpressive camera and a modest processor. But it's not like any other phone in that price segment offers any of these features. 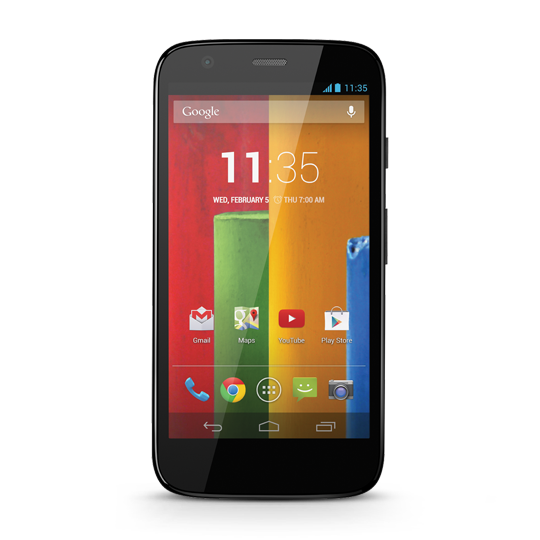 The Moto G's design is just like the Moto X, except slightly bigger in all three dimensions. 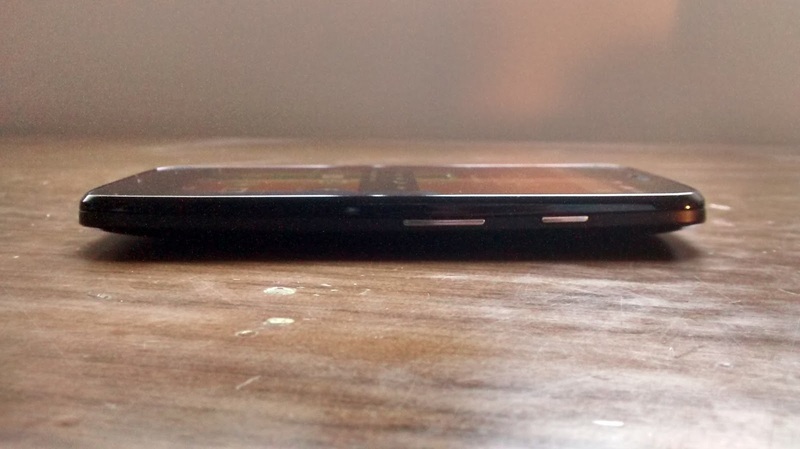 At its thickest point, the Moto G measures 11.6mm thick. It's also heavier than the Moto X, and indeed quite heavy for its size, weighing 143g. The Moto G may be quite a thick, heavy phone compared to more expensive flagships with even larger displays, but on the plus side this is due to the battery being quite large. The 2,070mAh battery may not hold a candle to the Galaxy S4's 2,600mAh battery, but then again the Moto G's total system power consumption is much lower than the Galaxy S4's. And even though the Moto G is heavier than some other phones, it's definitely light enough to use comfortably. The removable back cover of the Moto G, unlike the Moto X, is the only part of the phone that you can customize. The standard shell that comes with the phone is black, but you can also buy shells from Motorola with a variety of different colors, like white, red, yellow, blue, turquoise, among others. Each shell sells for $14.99. Motorola is also selling Flip Shells, which, as the name implies, have a magnetic flip cover that protects the phone's screen. These cost $29.99. For $19.99 you can also buy a Grip Shell, which is a thicker, more durable shell which also improve's the phone's grip, again, as the name implies. All shells, in all colors, have a matte finish, which depending on the color makes them quite the fingerprint magnets. By the way, removing the back cover will give you access to the microSIM card slot. Unfortunately, though, the battery is sealed inside and there's no expandable storage. You may not be able to customize every last detail of the Moto G using Moto Maker, like with the Moto X, but it still has far more customization than most phones. 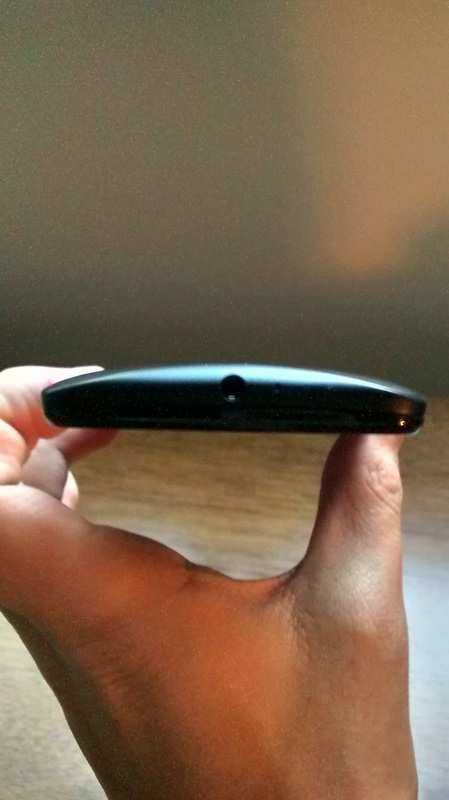 The Moto G's characteristic curved back fits the hand nicely, and makes the phone slipping from your hand less likely. The phone is relatively compact and is easily operable with one hand. The microUSB port is placed on the bottom side, while the headphone jack is on top. The power and volume buttons, which by the way are small, but feel very solid and have excellent response, are located on the right side. Finally, the left side of the phone is bare. 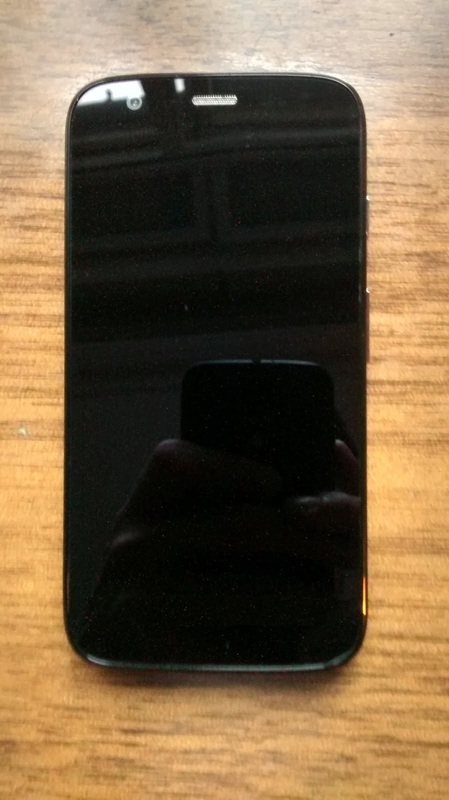 The default black shell is simple an understated, in the same way as the Nexus 5's matte black back looks. The 5 MP camera is placed on top-center, and to its left there's the speaker, which is nothing special, but gets pretty loud without distorting nevertheless. 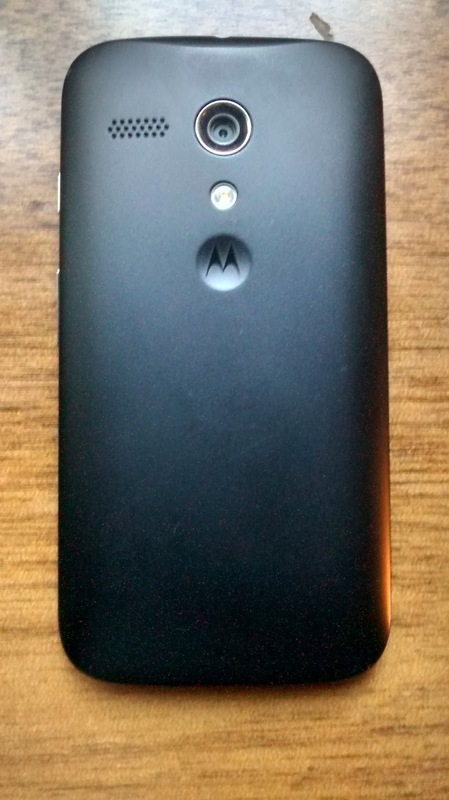 Under the camera there's an LED flash, and below is there's the same concave Motorola logo as on the Moto X. As a nice design touch, the concave Motorola logo is placed exactly where your index finger usually is when you're holding the phone, so that your index rests on top of the depression, which actually feels quite comfortable. Overall, the Moto G's design is nothing short of excellent. Its curved design is interesting looking and feels very comfortable to hold. The phone may be thicker than many recent smartphones, but the comfort that this design offers compensates for the phone's thickness. In the mid-range smartphone segment, we see a lot of glossy, creaky smartphones, but the Moto G's design is nothing short of excellent. I'd like to emphasize just how good build quality is with the Moto G. I've dropped it quite a few times since I got it, and it looks intact. One of the last things you expect from a budget phone is Gorilla Glass 3 protection, so I was very happy to see it on the Moto G's spec sheet. Another thing you wouldn't ever expect to see on a $179 phone is water resistance. Motorola said that the Moto G had water-resistant nano-coating protecting the phone's internals, but since it has no IP certification I wouldn't advise you to go chucking your Moto G into a swimming pool. However, some tests on YouTube channels show the Moto G surviving for over 30 minutes underwater, whilst still functioning completely well afterwards. I didn't go as far as testing how my Moto G would do underwater, but I did (accidentally) splash water on it enough to know that it's able to survive some water. But like I said, without an IP certification it's more of a protection in case you accidentally drop your phone on the water rather than a reason for trying to take underwater selfies. The Moto G sports a 4.5" LCD IPS display with a 1280 x 720 resolution, and a 326ppi pixel density. These specs may not sound very exciting, and they're not, but for a mid-range smartphone this is absolutely impressive. The display may not be as large as recent smartphones, but it's still a good balance between being too small and too big (5" in my opinion is dangerously close to "too big" territory). The 720p resolution sounds like old news, but just one year ago that was flagship stuff, and it's still more pixels than the latest iPhones pack. The 326ppi also matches exactly the iPhone's pixel density, so while it may not be as sharp as recent Android flagships, it's still crisp enough to be called a "Retina"-class display. As the Moto G has an IPS LCD display, not AMOLED like the Moto X, it can't have that nifty Active Display feature. That also means that, unlike on AMOLED, blacks won't be as good on the Moto G's LCD screen, and colors won't pop as much. Although to be fair, the Moto G does have excellent black levels, and the colors are quite good too. In fact, in the mid-range segment, the Moto G has the best display in that area. One of the main compromises a mid-range smartphone has to make is the silicon inside. The Moto G has a Snapdragon 400 processor, a common tier of Qualcomm silicon for mid-range smartphones. This particular Snapdragon 400 SKU, codenamed MSM8226, consists of a quad-core Cortex-A7 CPU @ 1.2GHz and an Adreno 305 GPU. These specs are really nothing special, hence the Moto G's performance can't compete with current flagships. Then again, performance is the one aspect of mobile technology that advances the fastest, so the Moto G's performance, while not even close to current flagships, can actually match 2012's flagships in terms of performance. For those of you who are not aware where the Cortex-A7 stands in ARM's lineup, the Cortex-A7 is architecturally similar to the Cortex-A8 core, so it's an in-order, 2-wide machine. With some power efficiency and architectural improvements over the Cortex-A8, however, one Cortex-A7 core can deliver up to Cortex-A9 levels of performance, all the while consuming much less power. 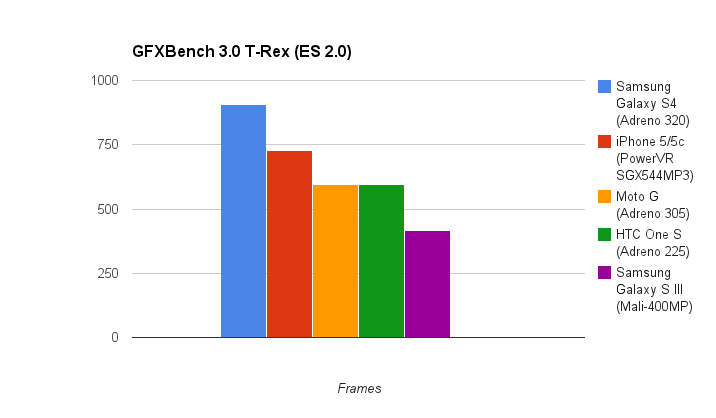 As benchmarks will show, the Adreno 305 GPU is no match for current high-end mobile GPUs, but at the same time it's one of the most modern GPUs, architecturally speaking, thanks to its full OpenGL ES 3.0 compatibility. It may not have the power to run demanding games or benchmarks super-smoothly, but at least it has excellent API compatibility, unlike Nvidia's Tegra 4, which may have more processing power, but can't run OpenGL ES 3.0 applications. 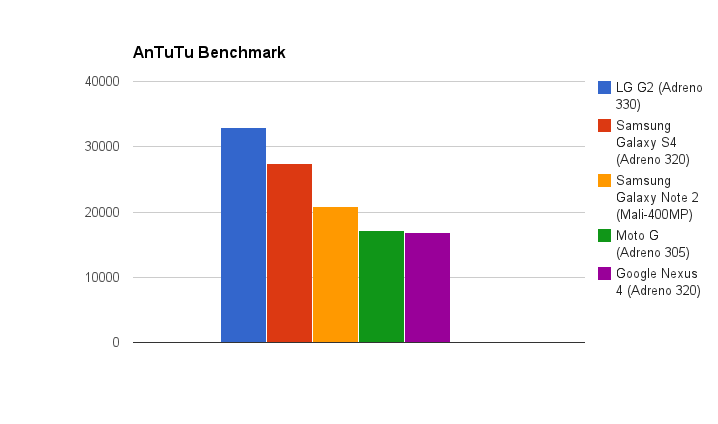 Now on to AnTuTu, a benchmark which measures all-around performance of the phone, consisting of UX performance tests, as well as CPU, RAM, GPU and storage I/O tests. 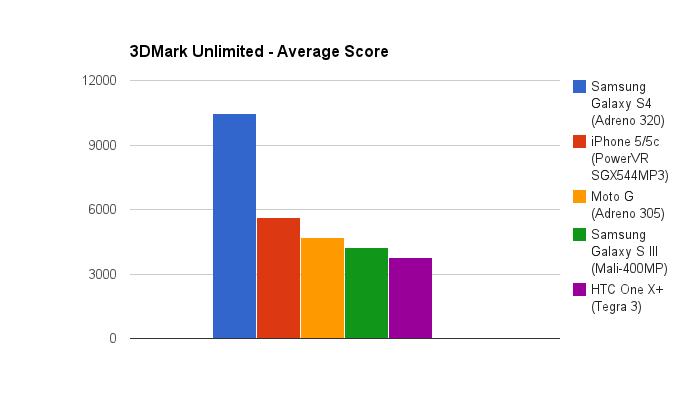 The Moto G managed a pretty decent score here, even slightly outperforming the Nexus 4. It's still no match for recent flagships, but then again it's not meant to. 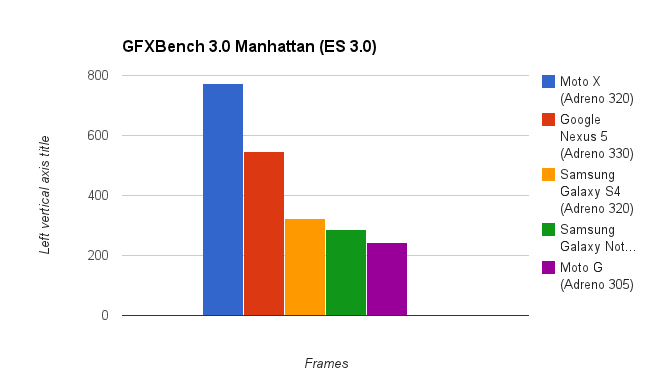 Now moving on to 3D benchmarks, let's start with the recently released GFXBench 3.0. The Manhattan test is one of the only OpenGL ES 3.0 benchmarks in existence, and unfortunately it doesn't put the Moto G in a very good position, as the smartphone is simply trumped by its competitors. You may notice, however, that all devices being compared to the Moto G in this chart are high-end devices with top-notch GPUs. I would compare the Moto G to other budget devices, but there weren't any for this test because the Adreno 305 is the only mid-range GPU that supports OpenGL ES 3.0. So while it's nice that the Moto G does support OpenGL ES 3.0, it's not properly equipped to render ES 3.0 games smoothly. 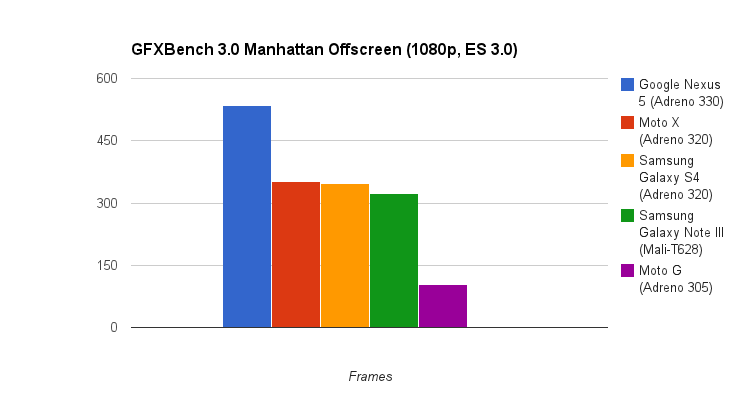 Note that this is the Offscreen Manhattan test, which runs at a non-native resolution of 1080p. The Manhattan Onscreen test gives the Moto G an advantage over recent flagships since its 720p resolution strains the GPU much less than some of the 1080p-toting smartphones being compared here. The Moto G is still behind all of its competition, but now it's at least close to the Galaxy Note 2 and the Galaxy S4. 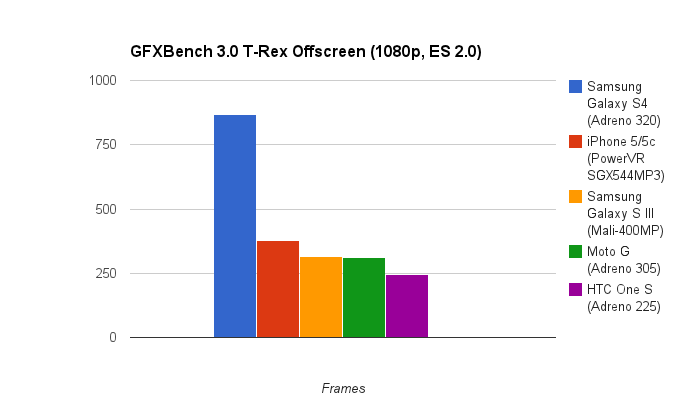 Since the T-Rex test runs on any OpenGL ES 2.0-compatible GPU (i.e. all recent GPUs) I could put some fair comparison points for the Moto G. The Moto G is able to nearly match the Galaxy S III and the iPhone 5/5c's performance, at least in Offscreen mode. Not bad for a $179 phone. At native resolutions, the Moto G does even better. 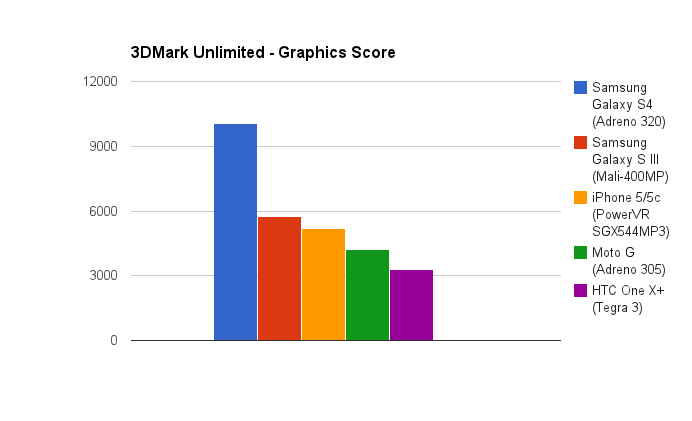 In the 3DMark test the Moto G scored pretty well too. It outperformed the Galaxy S III and, again, it got pretty close to the iPhone 5/5c. 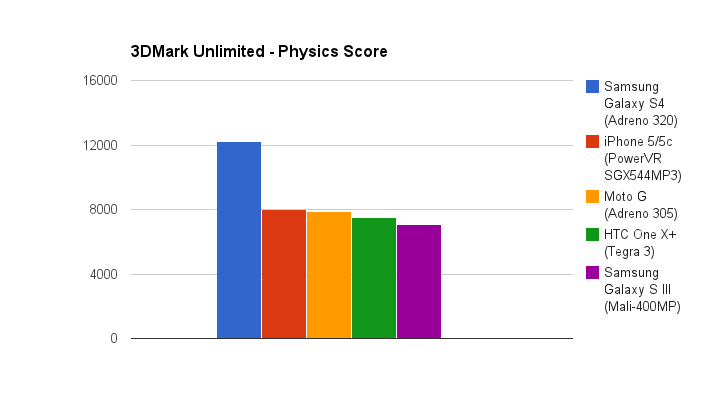 The Average 3DMark score takes into account both the GPU-bound tests as well as the Physics CPU-bound test. The scores for the graphics tests only show the Moto G's Adreno 305 GPU struggling to keep up. It still easily outperforms the Tegra 3, but it falls behind the iPhone 5/5c and the Galaxy S III. The Physics score, which mostly reflects CPU performance, puts the Moto G pretty much on par with the Tegra 3-based HTC One X+, the Samsung Galaxy S III and the iPhone 5 and 5c, with the Galaxy S4 still pulling ahead significantly. This test reflects how the Cortex-A7 core performs similarly to the Cortex-A9, seeing as the Quad Cortex-A7 @ 1.2GHz in the Moto G matches the performance of the Quad A9s @1.4GHz in the Galaxy S III and HTC One X+. 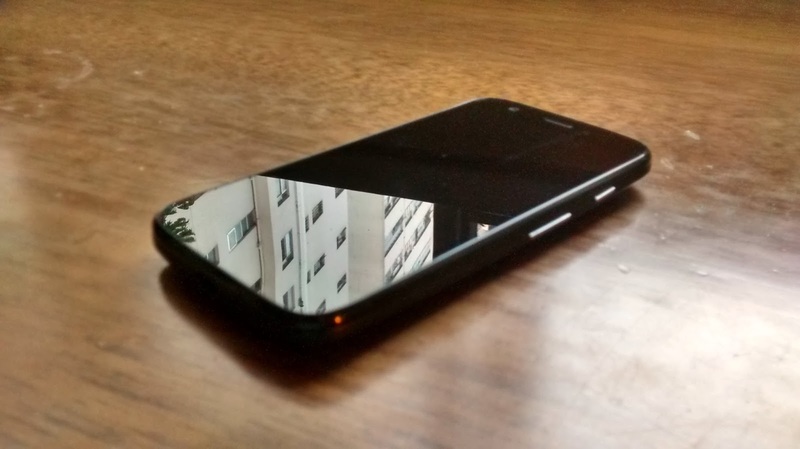 As a budget device, the Moto G has no hope of competing with current high-end smartphones, however, it's performance is at least competitive with the likes of the Galaxy S III and the iPhone 5 and 5c, so it's good that such an inexpensive phone can match 2012's flagships in terms of performance. Subjectively speaking, the Moto G performs pretty well. It's driving a pretty high resolution screen for its price range, however it's still able to deliver a fluid UI experience. The near-stock Android build doesn't have any bloatware pulling back the processor, and it's makes for a simple and intuitive user experience. Moving around the home screen and the app drawer is very smooth, however, after filling almost all five home screens with widgets and app icons things did get a bit slower, occasionally. I feel that the Snapdragon 400's single-channel LPDDR2-1066 memory interface occasionally struggles to keep up with the bandwidth demands of the 720p screen, an issue I recall last seeing in Tegra 3 tablets also with 720p displays. Launching apps was mostly a quick process, and web browsing is also pretty fast. Chrome isn't the smoothest browser for scrolling and pinch zooming, and I did indeed find some occasions where scrolling and zooming became a bit of a laggy process. When loading more complex pages I also found that the Moto G freezes long enough to make me impatient. The only area where the Moto G seems to struggle a lot is with multitasking. Jumping between apps causes a bit of a slowdown, and the transition animations also get pretty laggy when I'm jumping between demanding apps, like Chrome. Also, after using the phone for some time it becomes apparent that the Moto G's 1 GB of RAM isn't enough, as apps get suspended very often and, occasionally, returning to the home screen requires a redraw, which can take a little over a second. The lack of enough RAM is enough to be annoying sometimes. For example, when using Facebook Messenger's Chat heads feature with a large app, like Chrome, open at the same time, I found that the phone's RAM management software kills the Messenger very often, so that my conversations disappeared without notice. The Android 4.4 KitKat update did reduce the magnitude of this problem a bit due to its RAM management optimizations, but I still find that apps are getting suspended too much. The Moto G isn't exactly great for gaming, but it can run today's most demanding games at a decent framerate. For example, I've been playing Asphalt 8 on the Moto G, and at high settings I rarely encountered any noticeable lag. It's almost definitely the best gaming experience in the Moto G's price segment. As the Snapdragon 400 is built on 28nm silicon and the Cortex-A7 core is oriented for power efficiency, I never encountered any thermal issues with the Moto G. Even when gaming for extended periods of time the Moto G only got as far as becoming slightly warm. Between the low-power SoC, the relatively modest display and the large-ish battery, the Moto G has pretty good battery life. With moderate usage, the Moto G lasts from one to up to two work days. The Moto G is a bit like a budget version of Google's Nexus phones (that would actually make sense, since Motorola was owned by Google when the Moto G was released). In other words, it's a basic phone, with a basic, stock Android build, which offers a lot for its price, making as few compromises as possible. 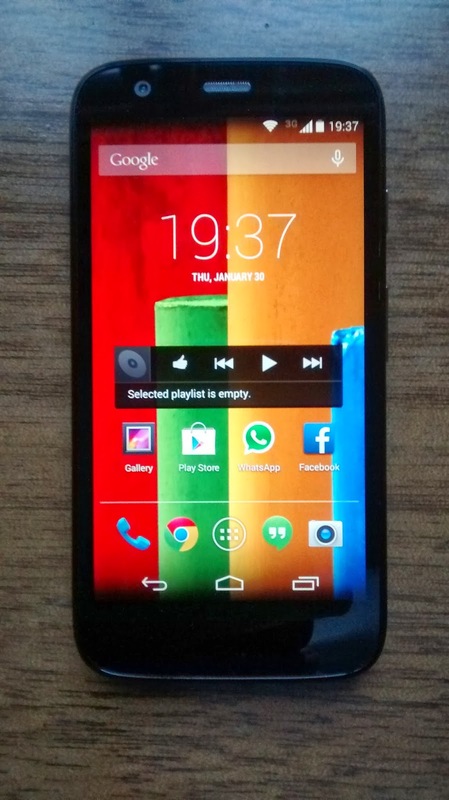 Motorola managed to make a phone which has a great screen, combined with excellent build quality and good internal hardware in a price range marked by horrible displays and flimsy build quality. If your budget is limited and you can't go above $200 for a phone, in that price range the Moto G is undoubtedly the best phone to get. I daresay the Moto G is even better than many phones above that price range. It's still no match for flagships, as it doesn't offer LTE connectivity, it's display is smaller and has a lower ppi, and its performance leaves something to be desired, not to mention that it's camera's not exactly great either. 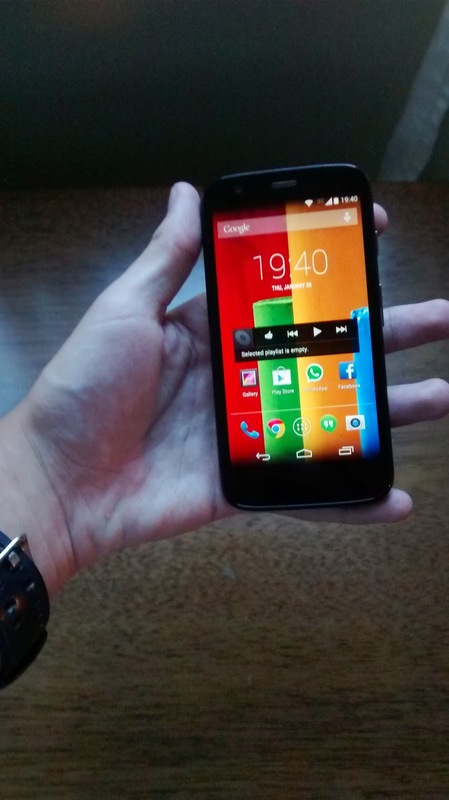 But still, considering its price, the Moto G is a great phone. Excellent post and wonderful blog, I really like this type of interesting articles keep it u. This is really an awesome article. Thank you for sharing this.It is worth reading for everyone. The way of you shared the information is very good. The specification you explained one by one thats very cool. thanks for sharing. Mobile Covers and cases Designer.